Like transparencies, panoramas were extremely popular in the late 18th and early 19th centuries. A panorama was a large circular painting that aimed to give the viewer the experience of being physically present in the scene being depicted, whether that was a landscape, a city, a battle or other historical event. Panoramas served as mass entertainment, popular education and propaganda. Visiting them was more like going to the theatre or the opera than to an art gallery. At their best, panoramas provided convincing illusions of the real, transporting the audience to another place and time. According to the patent, Barker’s invention included a cylindrical painting, a circular building designed to exhibit the painting, a viewing platform in the centre of the building, and “interceptions” placed so that observers would be unable to see above or below the painting. More than just a large painting, the panorama was a carefully controlled experience. The platform placed spectators at a height, angle and distance calculated to maximize the three-dimensional illusion. In 1788 Barker exhibited the world’s first full-circle panorama, a view of Edinburgh from the top of Calton Hill. Although the painting was shown in rooms not designed for the purpose, it was hailed by reviewers as something completely new. The judicious observe that Mr. Barker’s improvement in painting, which his exhibition of Edinburgh in the Haymarket explains, must prove particularly interesting to their Majesties, the Heir Apparent, and several of the Royal Family, who rarely go abroad. To them views of distant countries will be brought not like descriptions from the pen of the traveller, geographer, or poet, which, while they inform, leave an anxious wish, a natural desire to behold the scene ungratified. This Artist brings the wished for scene before them, one entire uninterrupted circle, placing them in the centre, where they can see the same as those who travel; they can perfectly understand and be gratified with a thorough knowledge of the local situation of whatever country they desire, and having seen it personally, they can retain it perfectly in idea, the same as nature could impress…. Barker’s second panorama, a “View of the Cities of London and Westminster,” was also a hit. He displayed it in a purpose-built wooden structure in his back garden. Based on this success, Barker was able to raise the funds to build a brick panorama viewing rotunda in London, like the one described in his patent. The Leicester Square panorama – located in Cranbourn Street, just off the north side of the square – opened on May 25, 1793. The rotunda contained two viewing chambers: a large circle at the bottom, able to display panoramas of 10,000 square feet; and a smaller one directly above, which could accommodate panoramas of 2,700 square feet. A partly glass roof provided light to both displays (an experiment with lamps for night-time viewing didn’t work and posed the risk of fire). Spectators stood on a raised platform in the centre of each circle. The admission charge was one shilling per painting. Visitors were given “descriptive sheets” (later pamphlets) that described the panorama they had come to see and included a diagram on which the main features were labelled. These saved on staff costs and served as souvenirs. When Barker’s patent expired in 1802, other artists started painting panoramas. Louis Daguerre was working on panoramas when he launched the diorama in Paris in 1822. Exhibitors started putting props and fake terrain in front of their images, to add to the simulation of reality. Veterans offered guided tours of battle panoramas, and musicians played martial music. An industry grew up as the panoramas toured from place to place. Most European cities had more than one purpose-built structure for hosting panoramas. Panoramas also became popular in Canada and the United States, where – later in the 19th century – they were called cycloramas. Though other panorama rotundas were built, the one in Leicester Square was thought to provide the most realistic displays. The building was designed to disorient people as they passed from the actual to the virtual world. Spectators had to walk down a long dark hallway and climb shadowy stairs before emerging onto the viewing platform. Some people felt sick as a result. 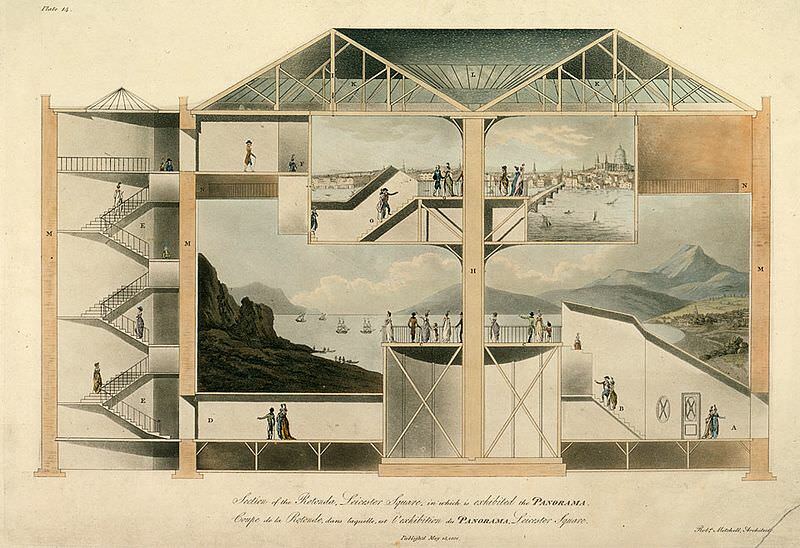 More felt delighted, like this visitor to a panorama of Pompeii in 1824. Panoramas are among the happiest contrivances for saving time and expense in this age of contrivances. What cost a couple of hundred pounds and half a year half a century ago, now costs a shilling and a quarter of an hour. Throwing out of the old account the innumerable miseries of travel, the insolence of public functionaries, the roguery of innkeepers, the visitations of banditti, charged to the muzzle with sabre, pistol, and scapulary, and the rascality of the custom-house officers, who plunder, passport in hand, the indescribable desagremens of Italian cookery, and the insufferable annoyances of that epitome of abomination, an Italian bed. Scenes from the Napoleonic Wars were a staple of early 19th century panoramas, including the Siege of Badajoz, the Battle of Trafalgar, and the Battle of Paris. Here is one observer’s account of the impression made upon her by the panorama of the Battle of Vitoria, which appeared in 1814-1815 in Leicester Square. 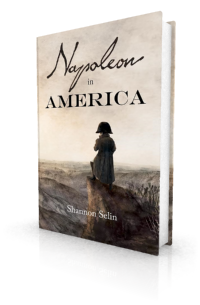 The battle – fought in Spain on June 21, 1813 – is the one that Napoleon, in Napoleon in America, blames his brother Joseph for losing because he slept too long. A “View of the Island of Elba and the Town of Porto-Ferrajo” opened in the large circle at Leicester Square in May 1815, just months after Napoleon’s escape from the island. That panorama was followed by a “View of the Battle of Waterloo,” which hung from March 1816 to May 1818, and again from October 1820 to May 1821. It was so popular that Barker had to construct an additional elevated stage so that the spectators in back could look over the heads of those in front. The Leicester Square panorama closed in 1863. Its rotunda now forms part of the Church of Notre Dame de France. Though none of Barker’s panoramas survive, you can still visit some 19th century panoramas (listed here, along with some 20th century examples). The panorama of the Battle of Waterloo that hangs in the rotunda near the site of the actual battle in Belgium was completed in 1912. The Repertory of Arts and Manufactures, Vol. IV (London, 1796), p. 165. Times (London), April 24, 1789, p. 4. Blackwood’s Edinburgh Magazine, Vol. 15, April 1824, pp. 472-473. Charlotte Bury, Diary Illustrative of the Times of George the Fourth, Vol. II (Paris, 1838), p. 6. Paul Philippoteaux, son of Henri, did the “cyclorama” at Gettysburg, my favorite military artists, well worth the look. I’d like to see the Gettysburg cyclorama someday, Randy. I found a good article about it here: https://historicaldigression.com/2013/08/08/the-bostongettysburg-cyclorama-painting/. I was going to mention the Gettysburg cyclorama as well. I’ve seen it several times and could still stroll around it and notice new details for hours. If panoramas and cycloramas can still enchant us today, imagine how enthralling they must have been in an era before photography, movies, television and any of our digital entertainments. And I must make sure I take the time to visit Waterloo’s too one day. Great subject tho, Shannon, for the blog. Thanks, Randy. Glad you enjoyed it. Thanks for signing up to my mailing list, Neil. Hope you like the posts. This is fascinating, Gene. Thanks very much. For those who are interested, here’s a link to the 1886 article on “How a Great Battle Panorama is Made”: https://archive.org/stream/stnicholasserial141dodg#page/98/mode/2up. 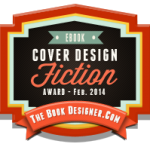 What a splendid description of the process, and great illustrations. Thanks, Gene. I hope the missing volume turns up. I’m glad you enjoyed the article, Dr. Merrill. I don’t have any information about the Browns’ panoramas (though I’ve just looked this up, for readers who are interested: http://albertis-window.com/2010/09/henry-box-browns-moving-panorama-2/). Perhaps someone reading this post will have some details they can share. Looking at an 1894 map of Paris (Wikipedia) there is a Panorama on the rue de Berri just off the Champs-Elysées. Any idea what the subject of that panorama might have been? According to The Panorama by Bernard Comment (1999, p. 68), the panorama rotunda at 5 rue de Berri opened in May 1882 with a depiction of the Battle of Champigny by Edouard Detaille and Alphonse De Neuville. It was still there in 1893, when a German visitor praised the canvas as “one of the best that has been produced over the last few years,” although he was critical of its overt patriotism. Detaille ultimately cut the panorama into 65 fragments and sold them between 1892 and 1896. You can see one of the fragments on the Musée d’Orsay website: http://www.musee-orsay.fr/fr/collections/catalogue-des-oeuvres/notice.html?nnumid=16935. The website also lists the museums where other fragments can be found. The scene is absolutely alive, vivid, and true; we feel all but the breeze, and hear all but the dashing of the wave.